19. 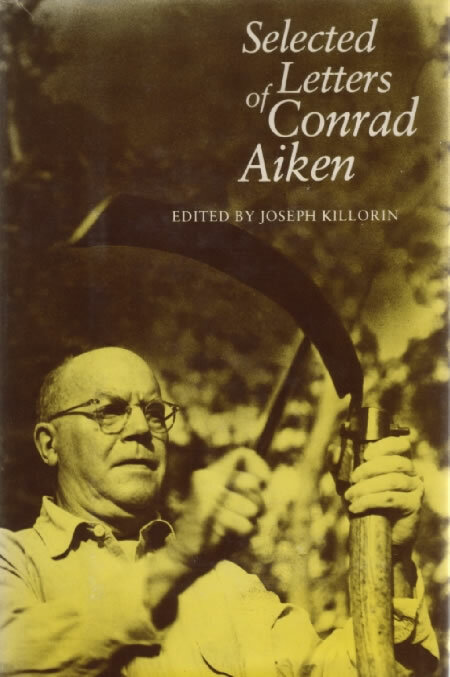 Selected Letters of Conrad Aiken. Edited by Joseph Killorin. New Haven: Yale UP, 1978. Aiken in a letter of 20 June 1923 mentions ‘being bankrupt at the moment through buying too many ukiyoe’ and mentions particularly work by Kiyonaga (Torii, Ap), Utamaro, Harunobu (Ap), Hokusai (Ap), ‘Shunyei’ (Katsukawa Shunei, fl. late 18th-early 19th c.), Katsukawa Shunshô (1726-92), Hiroshige (Ap), and Katsushika Taito (fl. 1810-53, student of Hokusai); Killorin adds in a note that Aiken ‘began collecting Japanese prints in London in 1914, and again in 1920 . . . . He regularly visited the print shops, especially one in Holborn owned by “Kato,” who taught him the signatures of the artists’. Aiken describes Kato and his shop in Holborn in Ushant (16). Passing reference to Hokusai appears in letters of 27 May 1926 and 27 May 1937; in both cases a metaphor is derived from his use of colour.